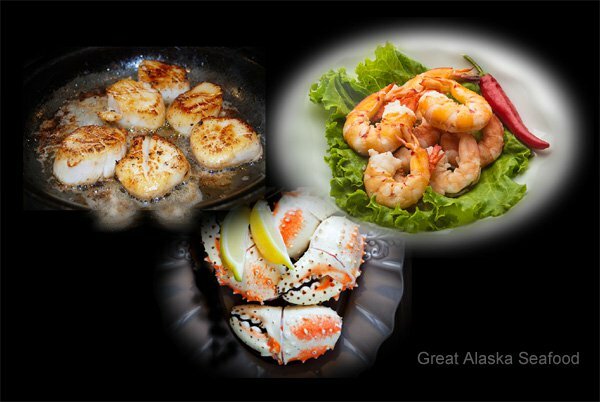 Get ready, you are about to see the most impressive trio of Wild Alaskan shellfish absolutely anywhere! Three lbs. 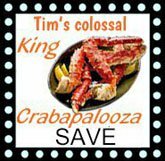 each of Super Colossal Ocean Scallops, Super Colossal Prawns (6-8 ct) and Colossal Red King Crab Legs & Claws. Super Colossal Scallops are extremely flavorful, all wild and natural. About 8-12 per pound. Super Colossal Prawns are large and tender! 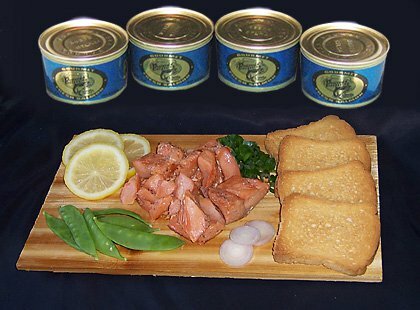 Wild caught, sweet and firm, they are very impressive. 6 to 8 prawns per pound. Colossal Red King Crab Legs and Claws are the world's finest. Each leg weighs 2/3 to a full pound! The bigger the crab, the tastier the meat.